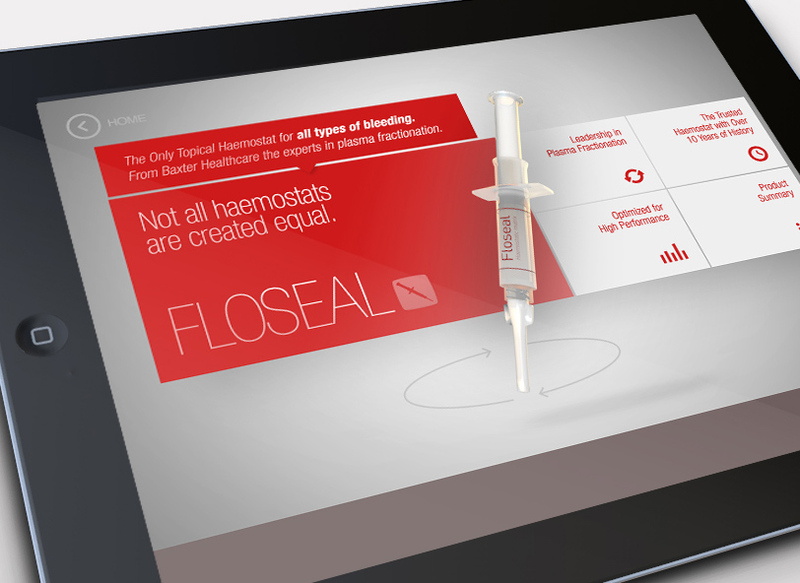 Interactive detail piece for market leading biological haemostats. 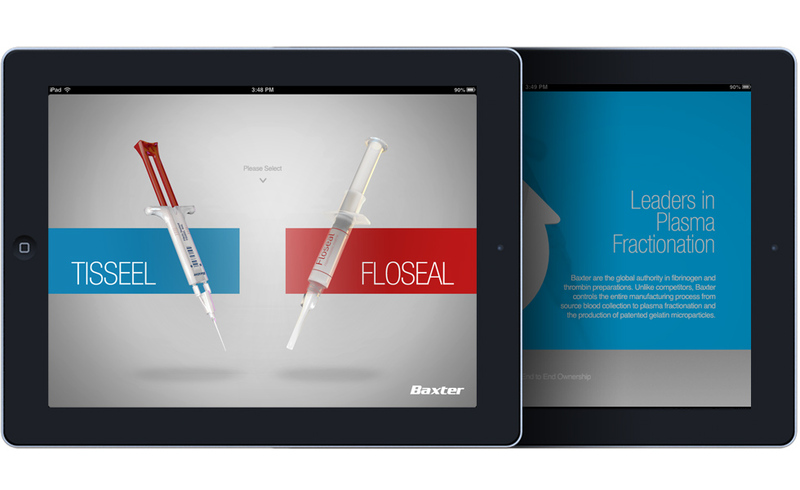 Baxter engaged enso to design and develop an iPad app to help optimise the communication of key messages about their portfolio of biological haemostats to healthcare professionals. 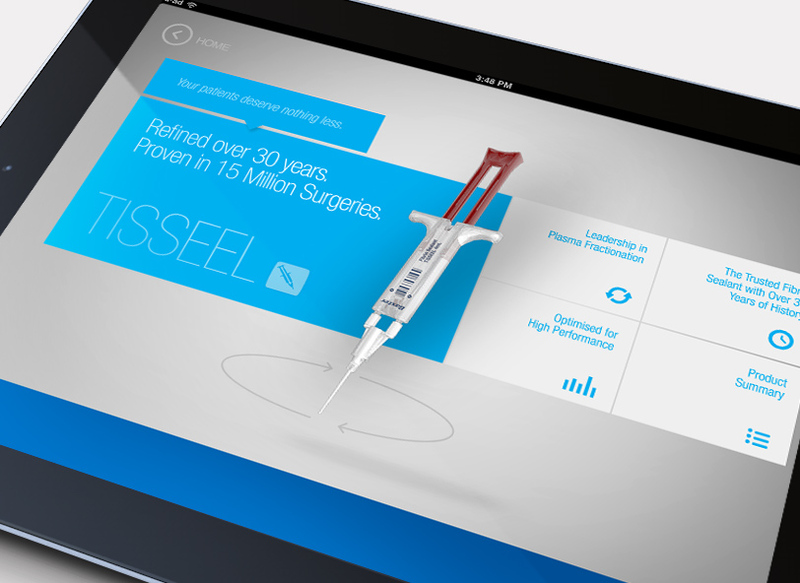 Large tiles and interactive 3D product models help visualise the messages. 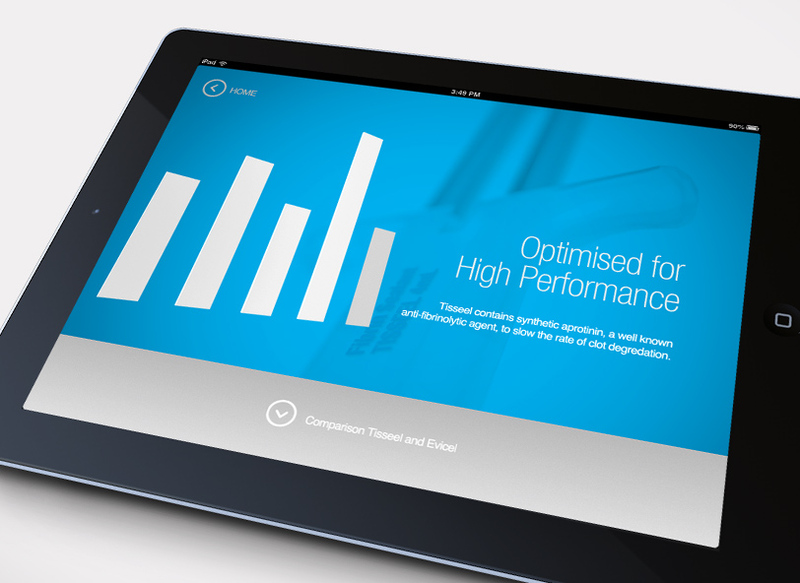 An intuitive user interface guides customers through the app messaging.